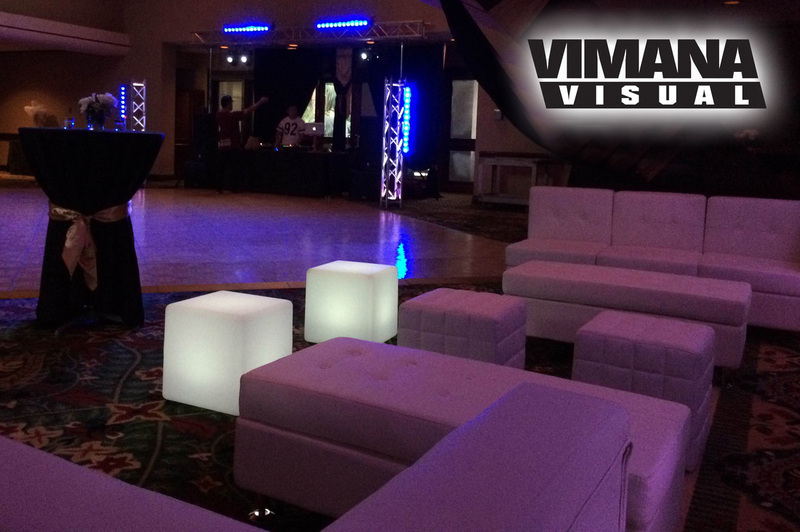 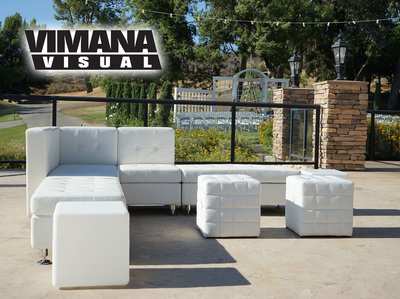 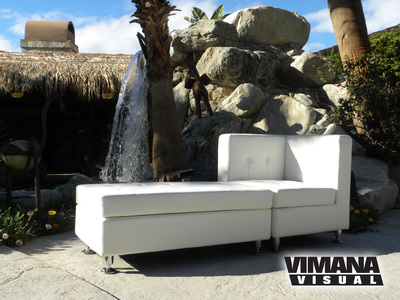 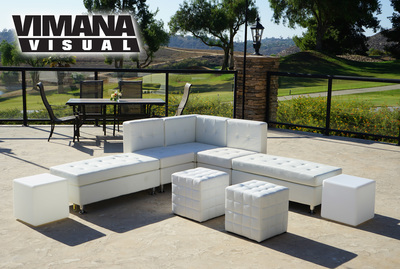 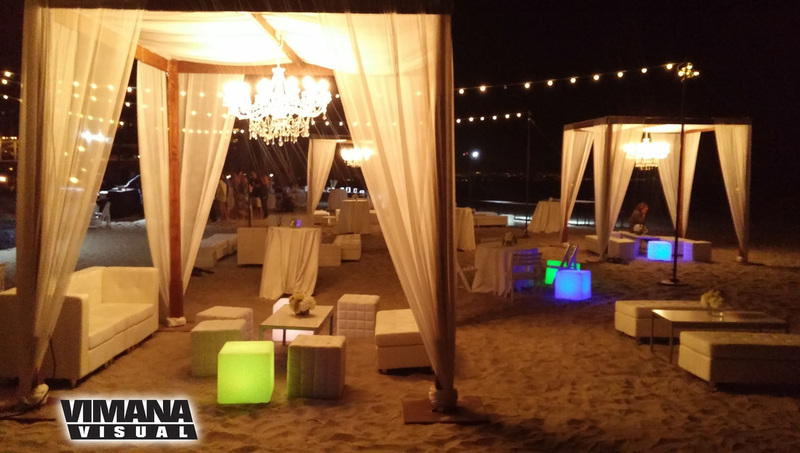 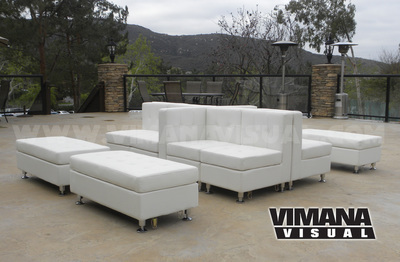 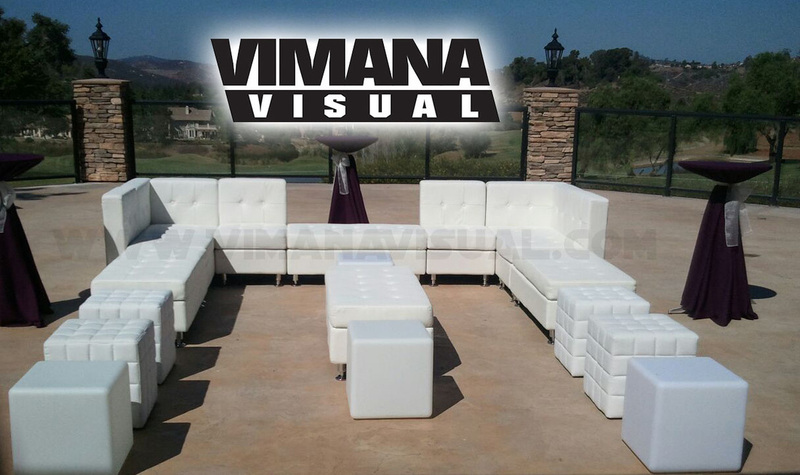 Vimana Visual is the Bride and Groom's best resource for White Wedding Lounge Furniture Rentals. We offer Wedding Lounge Furniture Rentals for every indoor or outdoor Wedding Reception in San Diego and Southern California. 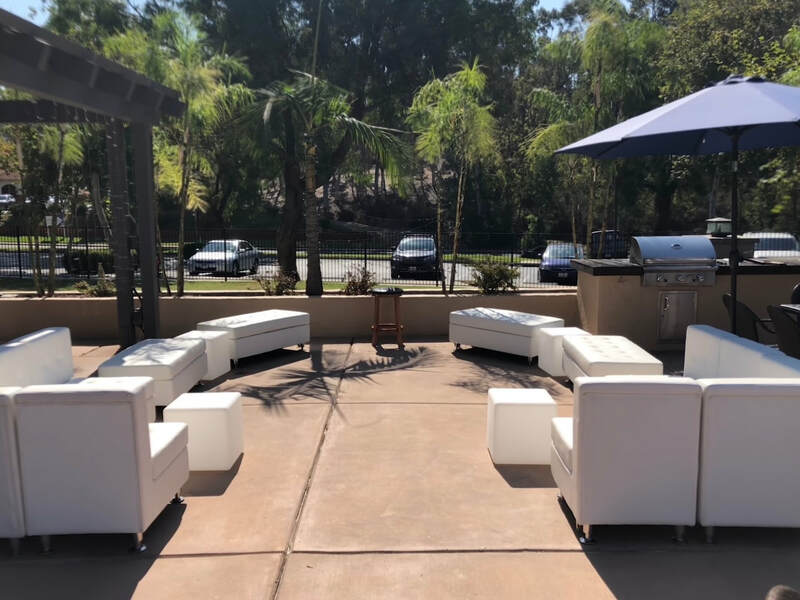 The Event Lounge Furniture will please all your reception guests, family members and closest friends by creating a comfortable special area for them to enjoy themselves, relax and make your day the most special it should be. We are available to help you Rent Furniture to create an elegant, luxurious lounge area at your Wedding Reception. 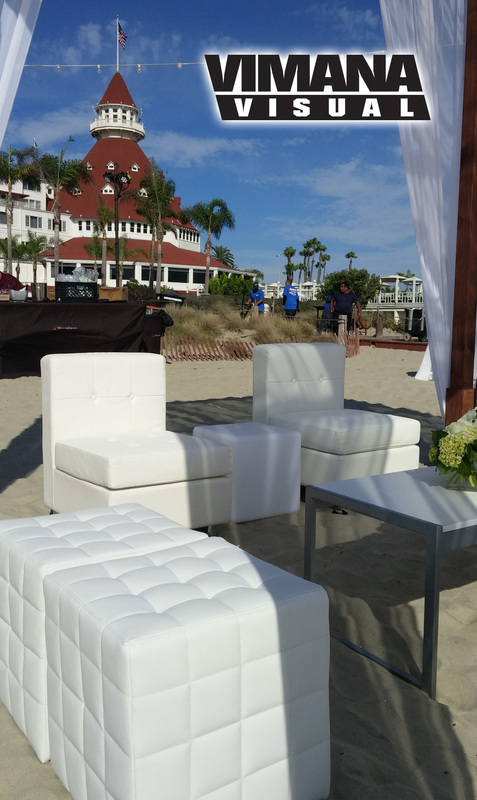 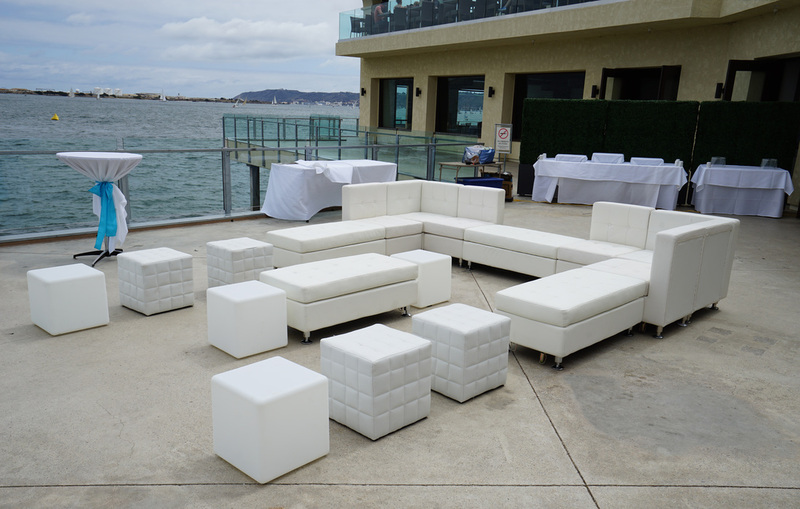 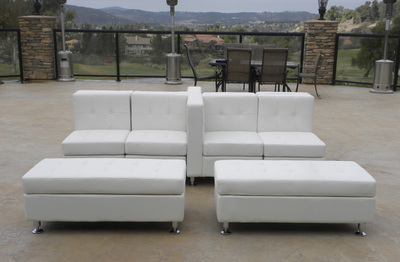 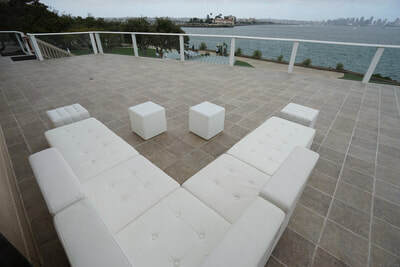 With our White Wedding Lounge Furniture Rentals you can create a unique, custom look at your venue space, utilizing our modular white furniture rental pieces. 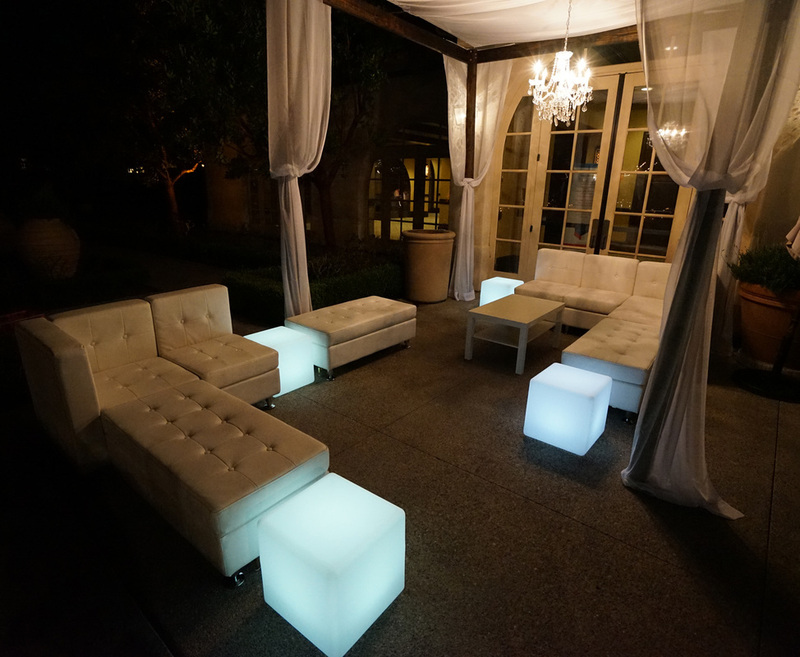 Add a splash of color with pillows or decor accents to match your color theme or use our LED cube lights to create that look you were hoping for. 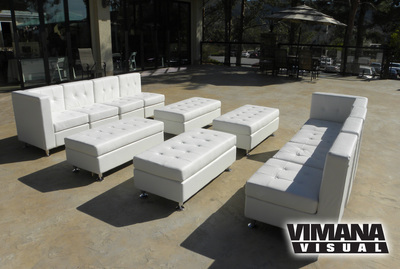 Arranging your seating area is easy and we can assist you with some preliminary furniture diagram plans. We can provide enough Reception Lounge Furniture to accommodate large groups that will fit into a variety of venues and put together a great lounge furniture rental for everyone to sit in luxurious comfort, mix and mingle and enjoy your Wedding Day. It's time to celebrate! 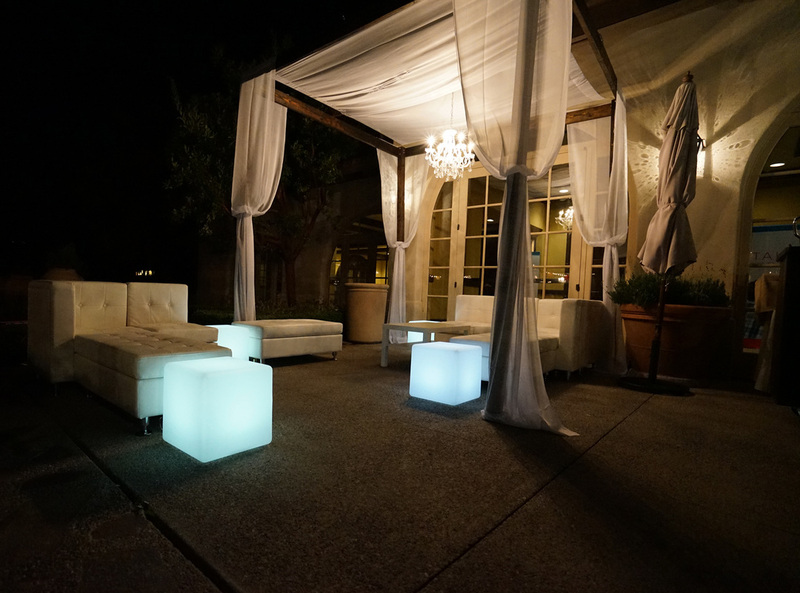 Did you want to have something unique and different at your Wedding Reception? 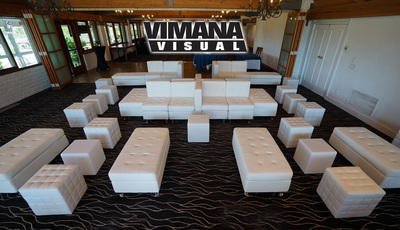 We can get pretty creative here at Vimana Visual with Wedding Rentals. 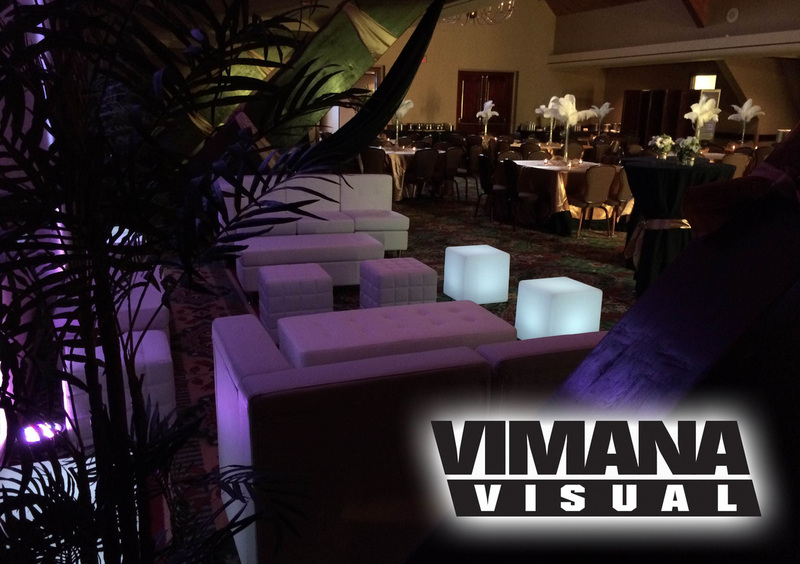 We offer graphics for your Wedding Reception, yes that's right Wedding Graphics. We can wrap the tables or LED cube lights with your Wedding Day Graphics, maybe a photo of the Bride and Groom, or a photo of your Wedding Rings, or maybe even photos of where you first met? 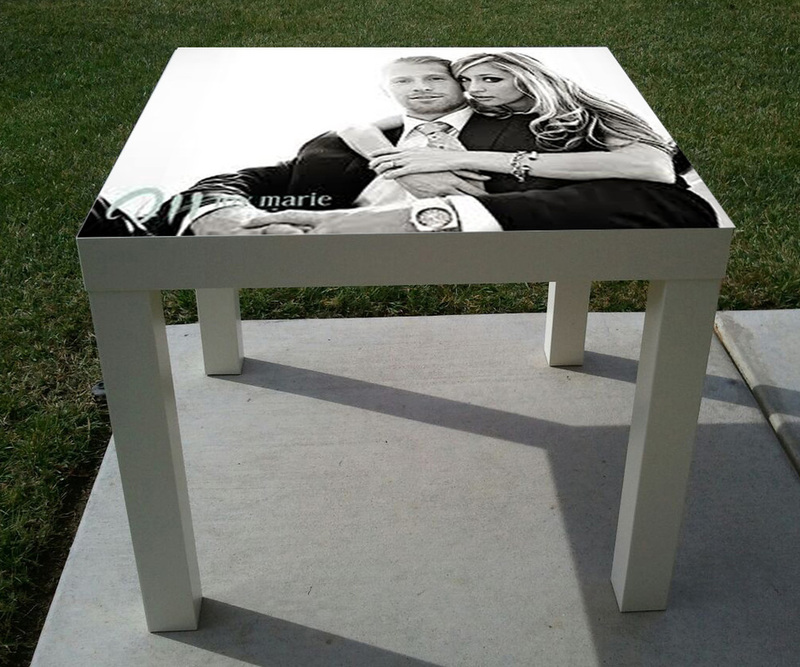 Set up the Photo Wrapped tables near your Wedding Furniture Chaise Lounge for a creative look to match the colors of your Wedding. 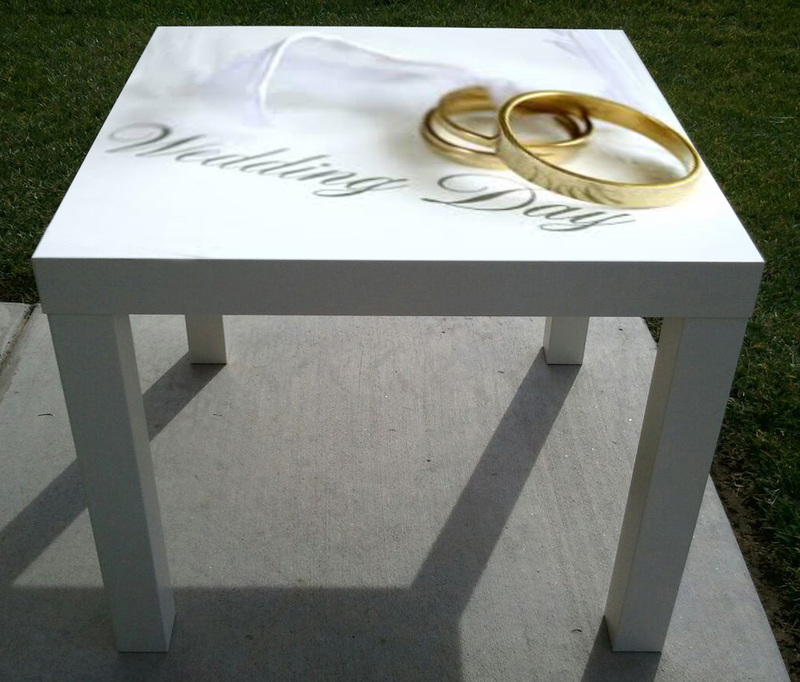 Accent the Wedding Reception Lounge with the table graphics and your guests could even write messages on the tables for you and the other guests to read. 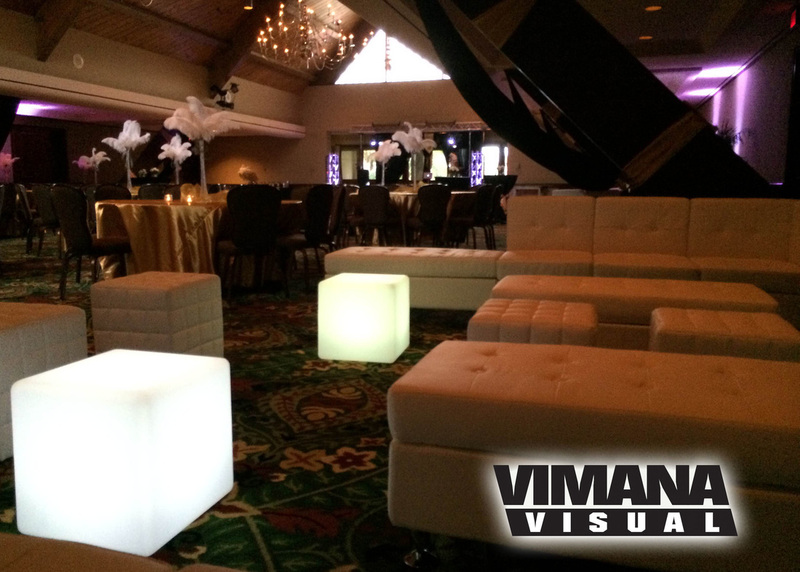 We have well over a decade of experience in Special Events, as well as Weddings and Receptions. 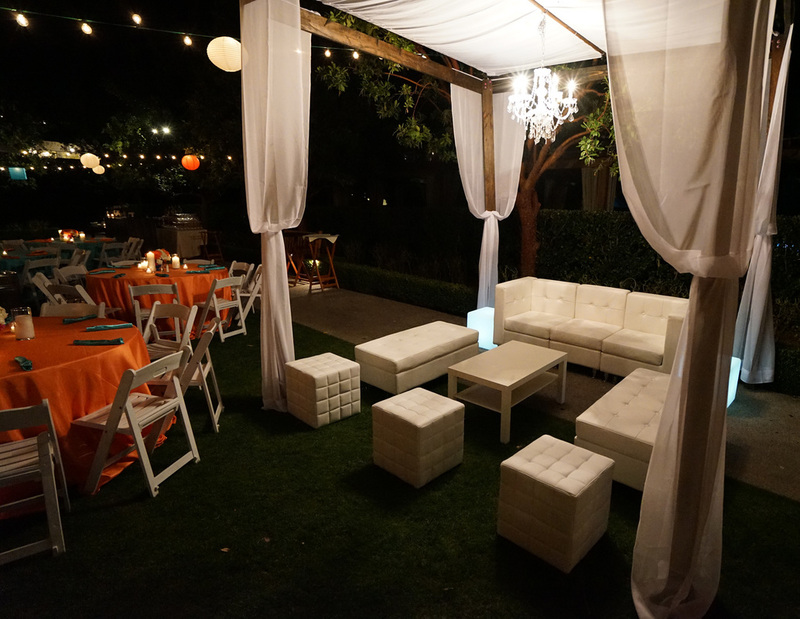 Picking the best vendor for your Wedding Day Reception Lounge is critical to your comfort level, but "comfort" is our specialty, so you have definitely made the right choice. 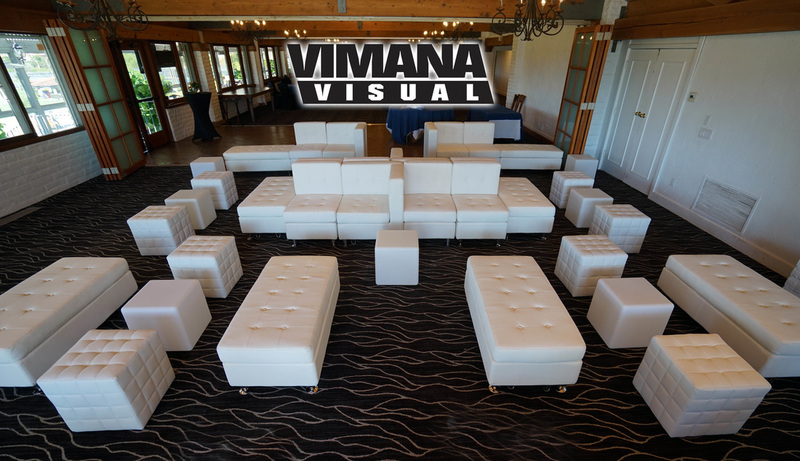 Vimana Visual can work with you directly or your wedding planner to design the perfect Lounge for your Wedding Reception. The Bride deserves the best products, the best service and the best Wedding Reception ever. 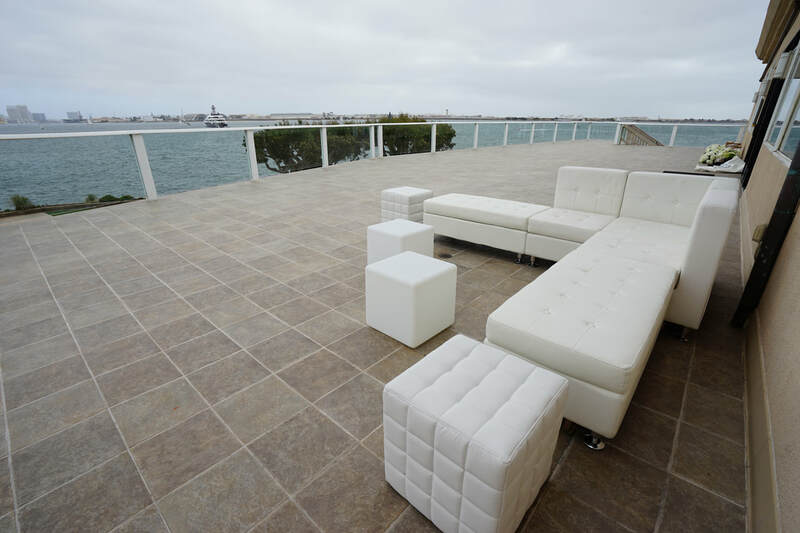 Contact us with your San Diego Wedding date as soon as possible, so we can get you onto our event calendar and get your Party Furniture Rental penciled in, while we work out a few Wedding Reception details. Of course you realize, the dates fill up quickly. Let us know about your venue, what's the accessibility like, is it outdoors or is it indoors. Do you need us to set up on a grass surface or is it on a patio? 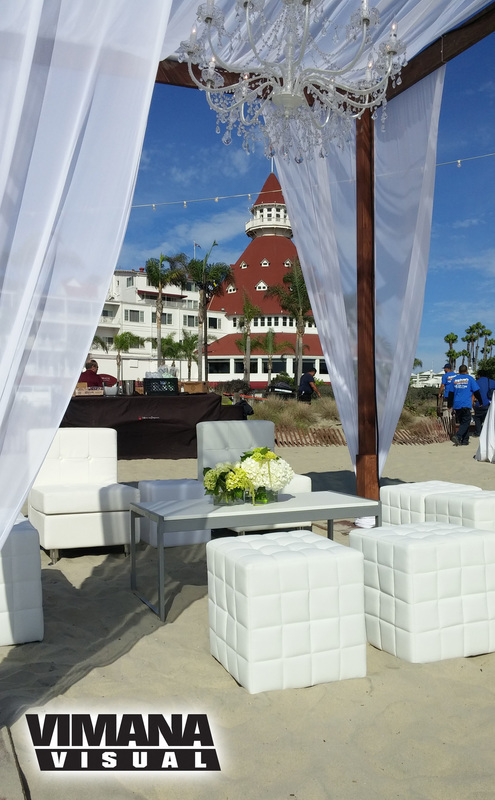 Do you require a shade tent area for the Event Lounge? 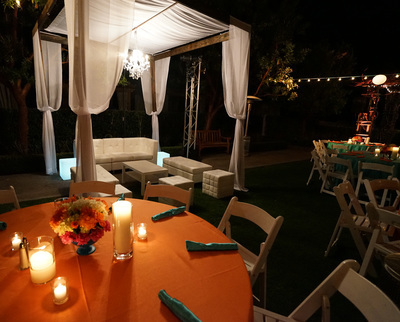 As we said, we can assist you in planning out all the little details, so you can check it off your list. 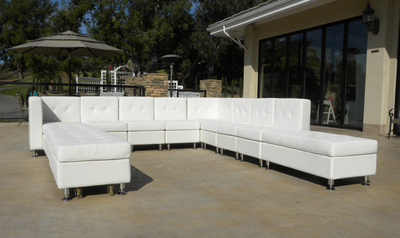 Be sure to call or click today to reserve your White Wedding Lounge Furniture Rentals. Please contact us at 619-371-3700 and ask for Chris, or 619-851-5697 cell.